We believe in diversity in both thought and experience because it helps us lead with our head, our hands, and our heart. We encourage a creative, diverse environment characterized by respect for the individual and their background. We are committed to hiring, promoting, and compensating employees based on their qualifications and demonstrated ability to perform. Special Strategist Offer: Register for WITI's Annual Women and Technology Summit with Promo Code stratsum10 and Save $200 OFF Full Registration! ReCellular, the world's leading resource for cell phone recycling, refurbishment and resale, has announced that Karen Morphy of Folsom, CA, has joined the firm as Senior Business Development Manager. She will be leading and growing ReCellular's enterprise channel targeting Fortune 500-1000 companies. Is Your Wardrobe Stifling Your Success? 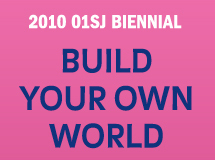 Under the theme "Build Your Own World," ZER01, in collaboration with dozens of partners, will present hundreds of artworks, performances, events, and artist talks, which not only imagine the future of the world but begin to build it. The event takes place September 16-19 in San Jose, CA, immediately following the Annual WITI Women and Technology Summit! Join WITI @ OnHollywood 2010! Join WITI @ Hacker Halted! Make plans now to attend the fifteenth annual Hacker Halted information security event - October 9-15 in Miami. The format includes a 4-day training Academy, followed by a 2-day conference on October 13-14 and 1-day of free Training (October 15) for all registrants. The two-day Conference features a comprehensive program presented in three tracks. Register for the 2-day conference by August 31 and receive a FREE iPad onsite. No tricks or anything else to purchase. Readers of this message may also receive a $100 discount off the 2-day conference fees - pay just $1,199 instead of $1,299 which includes the free iPad - by registering with the code HHQZM3 on the electronic registration page at www.hackerhalted.com You MUST register by August 31 when this offer and discount code will expire. Join WITI @ GoingGreen Silicon Valley! We are proud to announce that WITI is an Affiliate Partner for AlwaysOn's GoingGreen Silicon Valley. The fourth annual GoingGreen Silicon Valley is a two-and-a-half-day executive event features CEO presentations and high-level debates on the most promising emerging green technologies and new entrepreneurial opportunities. Cutting-edge greentech CEOs will meet the movers and shakers from the biggest industries on earth. Green technology innovators are transforming trillion dollar industries-and the solutions they are delivering not only promise to clean up pollution and restore ecosystems, but also to bring abundance and prosperity to everyone on earth. In fundamental areas-water, energy, and land-resource abundance is just around the corner through the power of technology and free markets.